A lot of Minnesota communities don’t have easy access to a store that sells healthy, affordable food. It’s a big problem for many city neighborhoods and remote rural communities across the state. Develop a ‘healthy food financing’ initiative that provides funding, incentives, low-cost financing, and tax breaks for healthy food-related enterprises (such as new food stores offering affordable, healthy options in communities that need them, or regionally-focused food distribution companies). With this strategy in mind, the Good Food Access Fund was established in the fall of 2015 and aimed at passing a healthy food financing policy in Minnesota. Its campaign goal is to secure significant new funding from the Minnesota legislature to increase the availability of affordable and nutritious food in underserved areas across the state. Led by a diverse range of partners from rural economic development, agriculture, hunger relief, and public health, this legislative request for recurring funds—if successfully passed—would provide access to financing, capital, and technical assistance for retail stores selling healthy food and related businesses that supply this food. Administered by the Minnesota Department of Agriculture, the Good Food Access Fund would support upgrades and new construction for retail food stores in communities that lack easy access to healthy food, as well as support in the form of technical assistance to help make the store successful. So, what could this really mean for Minnesotans? It means convenience stores in very small towns could add shelving and equipment to offer fresh fruits and vegetables. It means a small town grocer could purchase or upgrade outdated freezers, so they could sell healthy, lean meats and frozen vegetables. It means a buyer interested in buying a small grocery store from a retiring grocer would have access to financing and capital. According to a Food Trust study, Minnesota doesn’t have enough grocery stores to adequately serve many communities across the state. We could narrow the 44-store ‘grocery gap’ for Minnesota communities, the third worst in the nation. We could address the shocking statistic that over 70% of rural Minnesota grocers have no transition plan for their grocery store after they retire. Small towns and reservation communities could have a grocery store again. 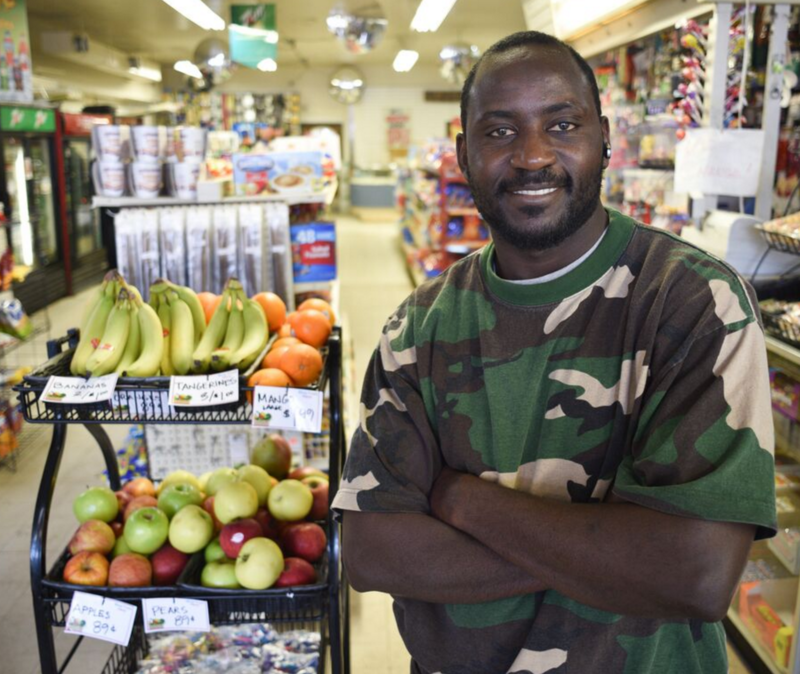 In city neighborhoods without adequate, convenient healthy food options, corner and convenience stores could get the financing and equipment they need to sell healthy foods to their customers. Minnesota is one of a number of states that have already established or are in the process of establishing healthy food financing funds like the Good Food Access Fund. Successful passage of this legislation will demonstrate the continued impact of the Minnesota Food Charter and the evolving Minnesota Food Charter Network. You can learn more about the Good Food Access Fund and how you can get involved by visiting the Minnesotans for Healthy Kids Coalition webpage here. Driven by you all, we are changing our food system together for a healthy food future. At the time of publishing this Minnesota Food Charter e-newsletter, the Good Food Access Fund legislation has moved through the Minnesota Senate Jobs, Agriculture, and Rural Development Committee and Senate Local and State Government Operations Committee. The bill has also successfully passed hearings in the House Agricultural Policy Committee and will now move to the House Government Operations committee.